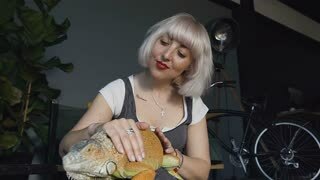 Search Results for "self love"
Cute europein woman holding and playing with chameleon. She is not scared to hold it on hand. Concept of self learning and love animal lifestyle. Slow motion. Beautiful young red-head woman isolated on green background. Hugging oneself happy and positive, smiling confident. Self love and care. Girl expressively, theatrically, authentically hugs herself. Self love concept. Selfie couple in love on hawaii beach taking photo self portrait. Young woman and man in love using mobile cell smart phone on Hawaii beach vacation in Hawaiian clothing wearing flower lei. RED EPIC. Chameleon on hands of little child girl in slow motion shot. Concept of self learning and love animal lifestyle. Cute asian child holding and playing with turtle. She is not scared to hold it on hand. Concept of self learning and love animal lifestyle. Cute asian child holding and playing with chameleon. She is not scared to hold it on hand. Concept of self learning and love animal lifestyle. Young couple taking selfies at city big road avenue. lovers taking self portrait photos at sunset. middle view. Dating young couple happy in love taking self-portrait photo on Times Square, New York City at night. Beautiful young multiracial tourists having fun date, Manhattan, USA. Asian woman, Caucasian man. Young couple happy in love taking self-portrait photo in a cafe. Beautiful friends taking a selfie. Couple smart phone selfie - people having fun with self portrait in Stockholm. 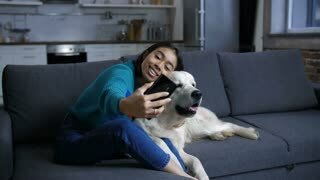 Dating lovers with smartphone taking candid fresh selfportrait picture photo laughing smiling. Multiracial man and woman. Attractive couple in love taking selfie; self-portrait with smartphone. Beautiful young couple looking at camera taking photo with smart phone and smiling. Multicultural Couple taking selfie video having fun on travel in New Zealand, Milford Sound. Happy woman and man in love travelling taking candid self portrait video, Fiordland, New Zealand. Selfie - Happy couple selfies photo on travel in Florence. Romantic woman and man in love smiling happy taking self portrait by Ponte Vecchio during vacation holidays in Florence, Tuscany, Italy.